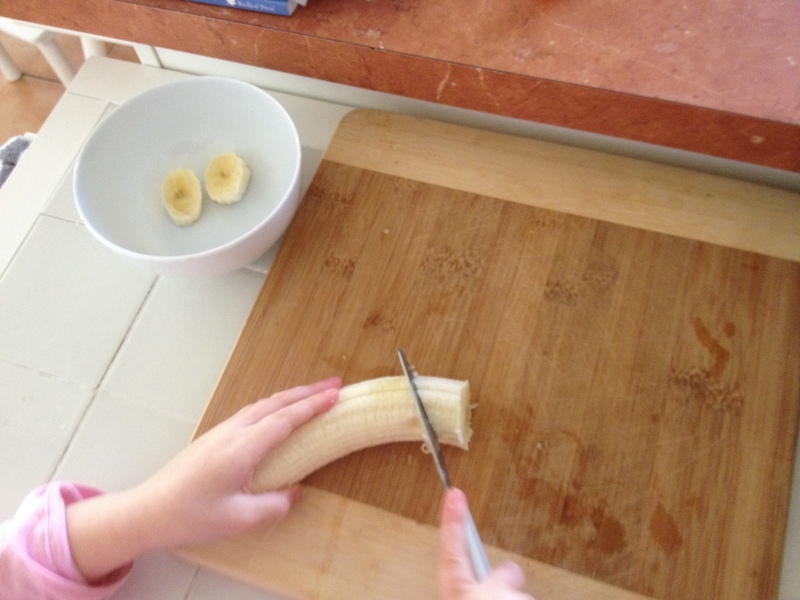 My three year old loves helping out in the kitchen. There is always a way she can be involved. 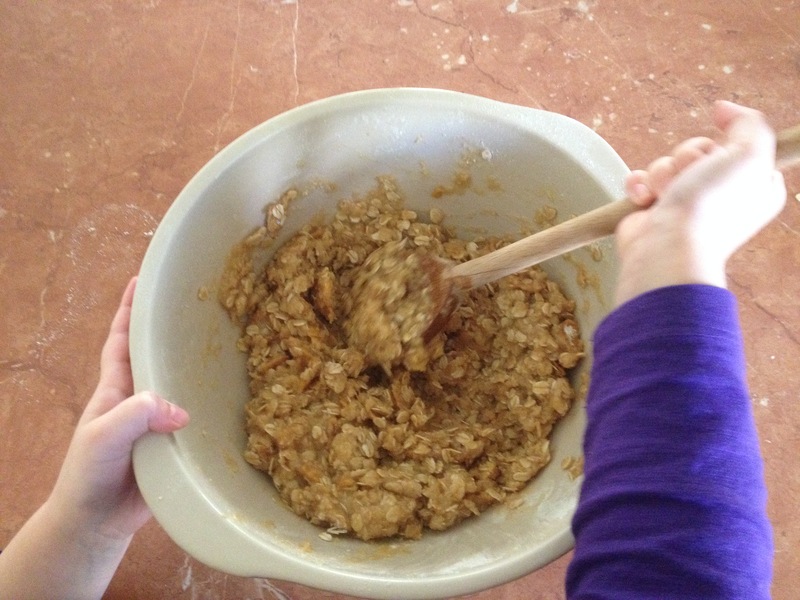 At the moment her favourite thing is to prepare her own snacks each day, help make a juice or bake with me. I will aim to make a series of these posts. 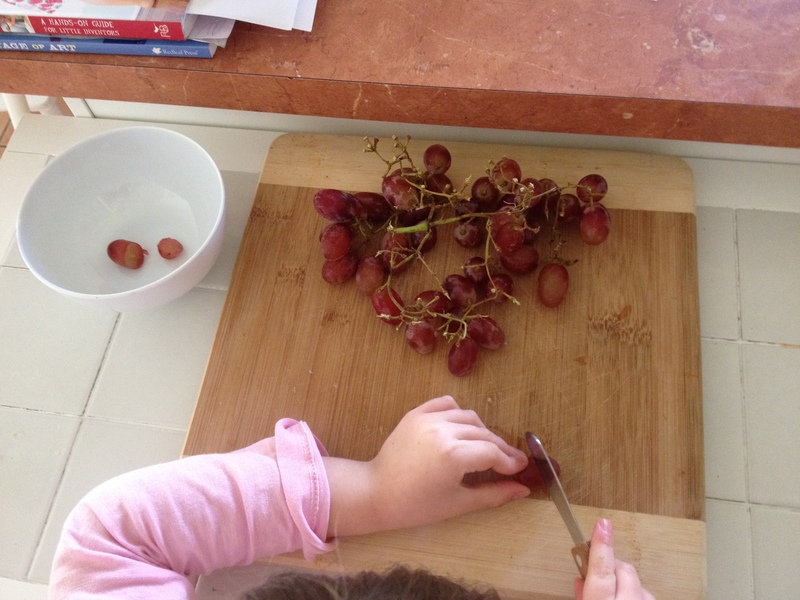 My eldest today making a fruit salad snack of grapes and bananas. 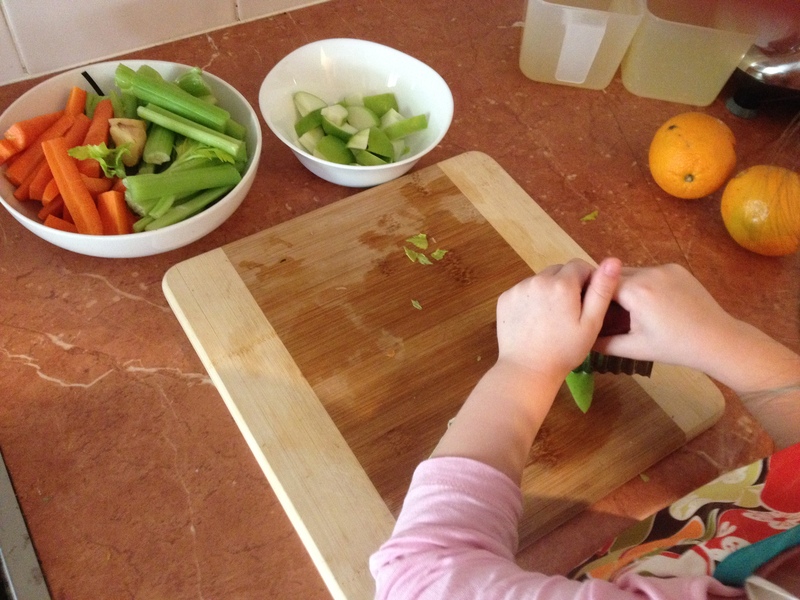 Helping to prepare and make a fruit and vegetable juice. Baking biscuits. 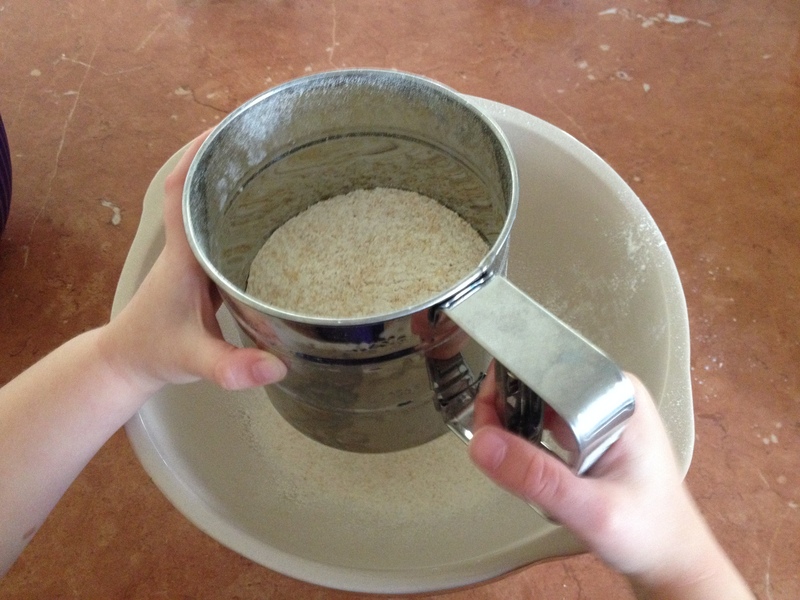 Sifting and mixing. Not all the photos are here by my eldest helped measure everything out. So much to learn together whilst cooking. 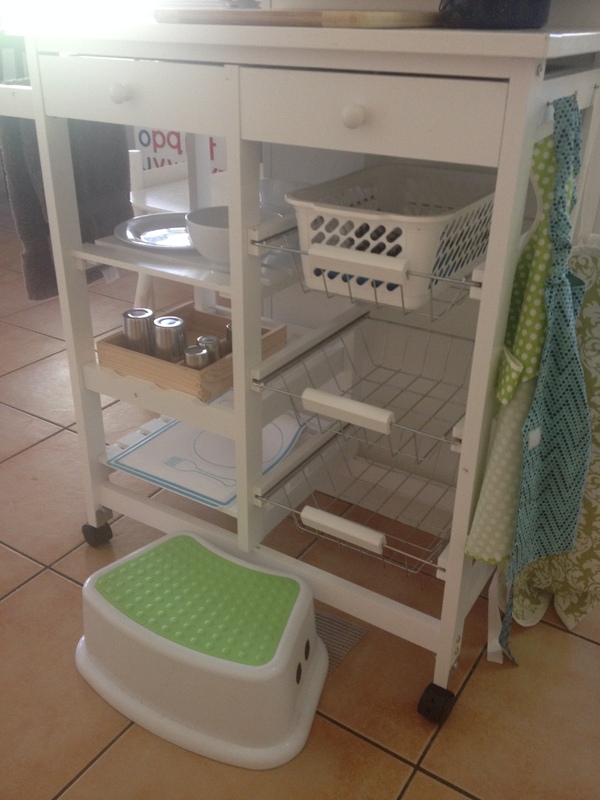 The food prep kitchen trolley that my three year old now uses when preparing a snack or helping me out in the kitchen. It has a tile top which I have placed a wooden chopping board and an enamel compost bucket on top. All cooking utensils are kept in the drawers. 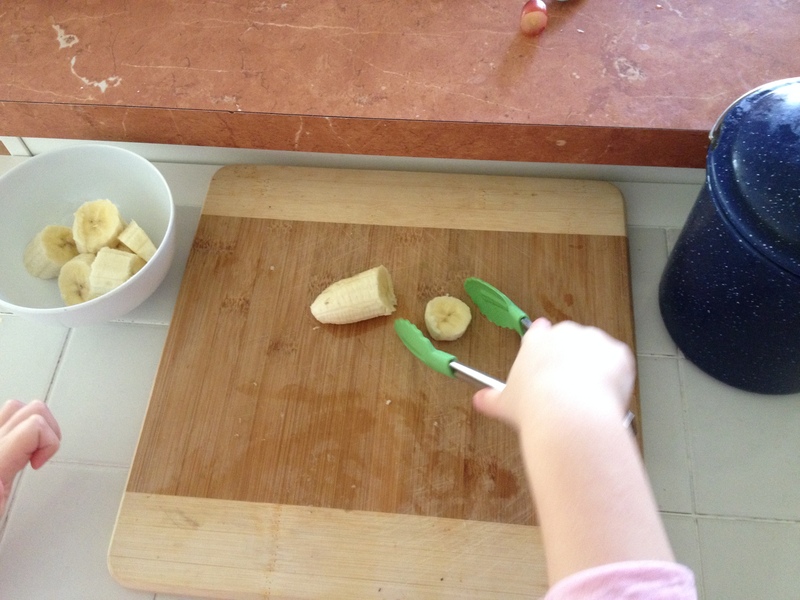 When my youngest is able to use it I will add food items in the baskets for them to use such as apples and bananas. I recently tried it but food kept on going walk about and not eaten. 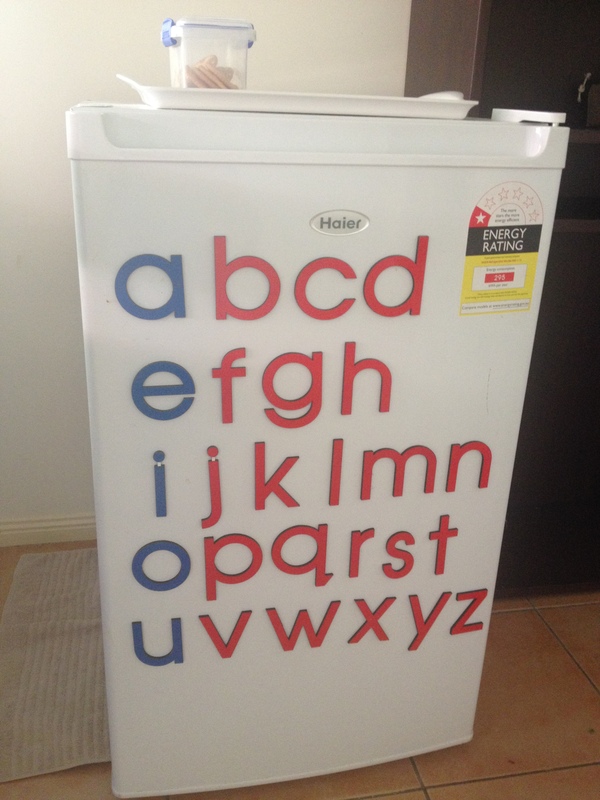 Most of the kids cold food is kept in this bar fridge just off the kitchen. Our main fridge is small so there wasn’t room to give them their own shelf. This bar fridge has worked out great. My three year old can easily open it and get access to what she wants when she would like a snack. My eldest is great at just taking small amounts of food and only a as snack so it doesn’t affect her appetite at meal times.